What is Indirect assignment and Direct assignment? What are Prerequisite of Indirect assignment? 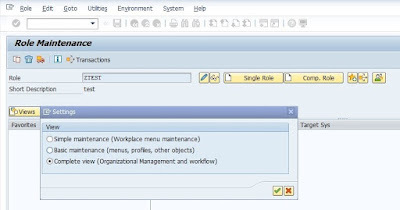 How to enabled enable Organization management in Role? How to assign role to Position/Indirect Assignment? What is the Benefits of Indirect role assignment? What is the difference between Indirect and direct assignment? 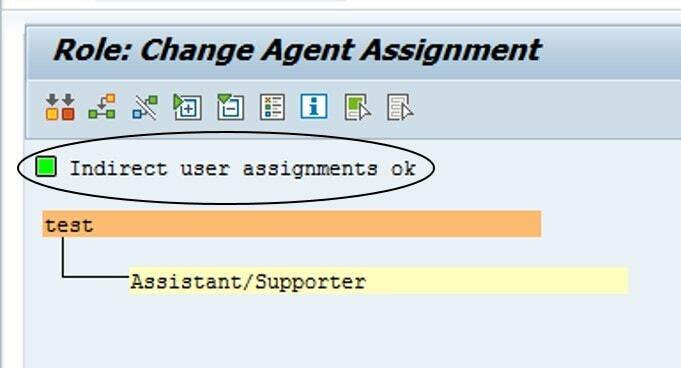 Indirect role assignment means you don’t assign the role to users directly in SU01, SU10 and PFCG. Instead of this, you can link the role to organization unit, job, Position and so on. An active planning version must be defined in the system. 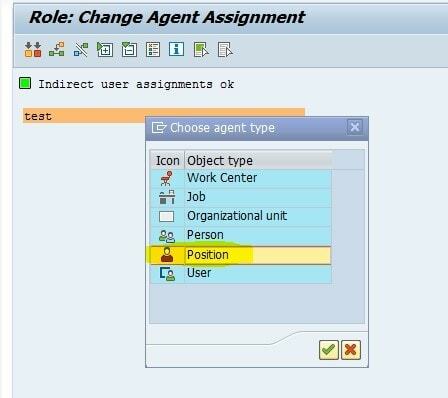 Roles/profiles are assigned to the OM objects defined in the active plan. 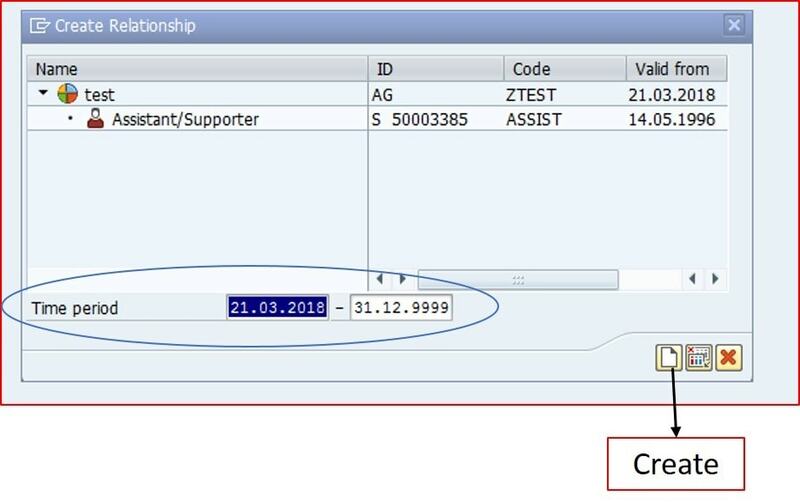 The User and Personnel masters are linked via the IT 0105 (communication) subtype 0001 (system id). Once the prerequisites are met, we can go ahead with indirect role assignment between roles and HR Objects. Indirect role assignment can be done in PFCG through Organizational Management button. 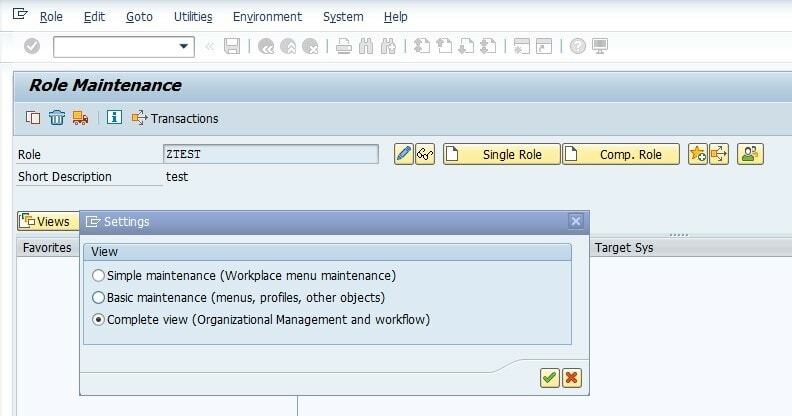 Now Organizational Management (OM) has been enabled under User tab in role. In the Role: Change Agent Assignment Screen, Choose to Create assignment icon. The choose agent type dialog box appears, select the agent type Position. 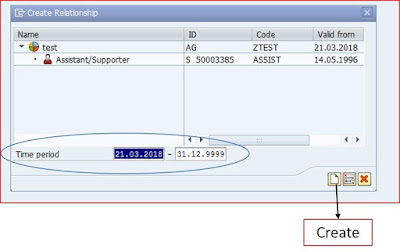 In the next dialog box, choose Position, enter the search term * (Position number) and create the relationship with the Time period. 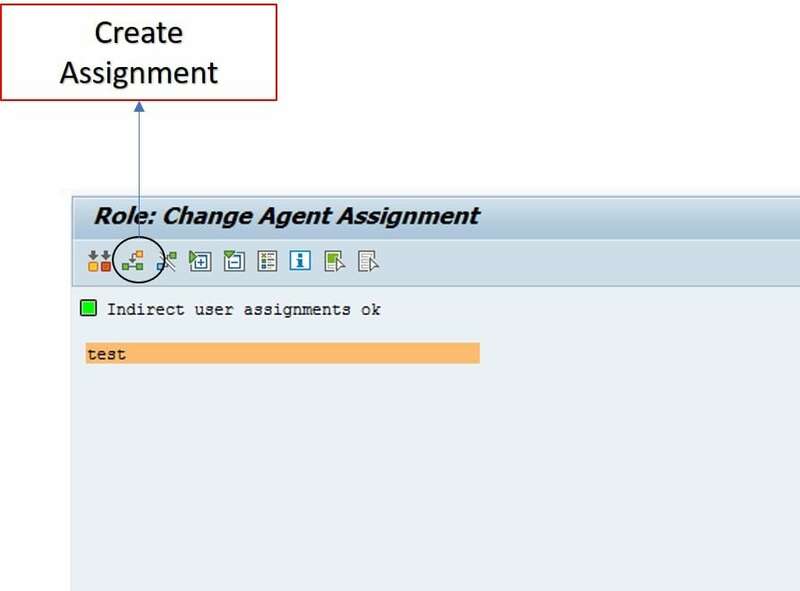 Now choose Indirect User assignment reconciliation. Green: User assignment are up to date. Red: User assignment are not up to date. 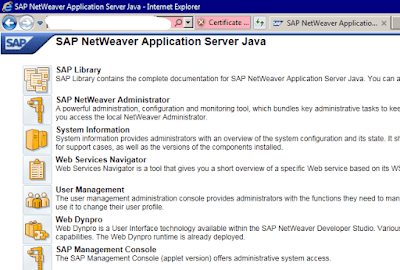 Note: Never enter generated profile directly to users using SU01 for example. During compare, generated profile are removed from the users if they are not belongs to the roles. Click on User comparison, choose complete compare and save the role. Now the user compare button should be green. If we assign the roles to users directly, we need to adjust their access each time when an employee responsibilities change. 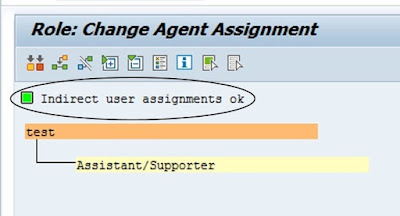 If we provide authorization based on positions, then we don’t have to adjust the agent assignment of roles. We can plan and activate the validity and assignment of organization object as per time frame/period. Note: We can schedule the background job PGCG_TIME_DEPENDENCY to perform a comparison at the beginning and at the end of the validity period. This is for comparing user master with roles.